Adhering to relevant health and safety regulations is in the best interest of both the employer and their workers. A business is legally responsible for protecting its employees while at work. Not having correct safety measures in place can put a workforce at an increased risk of harm, and also lead to a compensation claim if an individual does suffer from an industrial disease or work-related condition. Both employers and employees should be aware of their responsibility in the workplace so everyone can remain protected, and recognise what to do if the environment does not have the correct safety policies in place. If your workplace has a number of safety measures to protect the workforce, you are responsible for adhering to the policies and procedures to keep harm at bay. However, if a business fails to live up to its legal obligation and does not suitably attempt to reduce the potential for danger, you are put at a higher risk of harm. Should you subsequently suffer from an industrial disease or work related condition, you are entitled to claim compensation for any medical and financial hardship endured. It is recommended that you invest in assistance from a specialist legal team experienced in these types of industrial disease claims, so that your case can benefit from their expertise and knowledge. For example, if you have to work in close proximity to high noise levels, an employer should look to provide protective equipment; reduce noise exposure; monitor and maintain equipment; and offer health and safety information. Should you suffer from noise induced hearing loss or industrial deafness as a result of the business falling short of this legal responsibility, you can receive a payout for the damage caused by the negligent employer. As an employer, you are responsible for safeguarding people within your working area, and must take every possible action to look after their health, safety and welfare. First off, you must conduct an extensive risk assessment to pinpoint hazards and work to eliminate or reduce any possible dangers found. Through this, you can minimise the threat of employees suffering from work-related conditions and pursuing claims against your business, while it can also help you to successfully defend your company should such a case arise. For example, if you have a noise problem in your workplace, The Control of Noise at Work Regulations 2005 require you to reduce or eliminate the threat of employees suffering from noise induced hearing loss while performing their job. Through controlling noise exposure and providing employees with safety measures including proper training, information and hearing protection, you can minimise the possibility of your workforce enduring hearing damage or loss, and safeguard your business from such industrial disease claims in the future. In summary, if an employer complies with their legal responsibility and introduces measures to protect the health and safety of their workforce, which employees then comply with, this can only stand to benefit both parties. 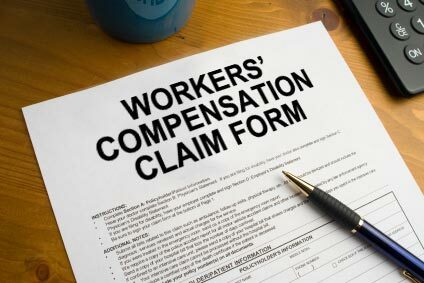 However, if negligence does occur, this is certain to increase the risk of workers suffering from work-related conditions and employers facing costly and time-consuming compensation claims.